Presented by Jeff Zeanah, President of Z Solutions, Inc. This course is intended for analysts working with virtually any type of exploratory data analysis problem. Discovery in a complicated data set is one of the analyst's toughest problems. The course covers this discovery process using many real-world problems. There is a focus on fraud detection, with the recognition that the core principles of modeling to solve fraud detection are the basis of all exploratory data analysis. Analytical methods used in the course include decision trees, logistic regression, neural networks, link analysis, and social network analysis. In addition, analysts receive practical advice on presenting complex findings to their audience. reach deep into your data and find what others cannot. familiarity with Base SAS, SAS/STAT, and SAS/GRAPH software, which you can acquire by taking the SAS® Programming 1: Essentials or Statistics 1: Introduction to ANOVA, Regression, and Logistic Regression course. This class is taught in SAS Enterprise Miner and foundation SAS. 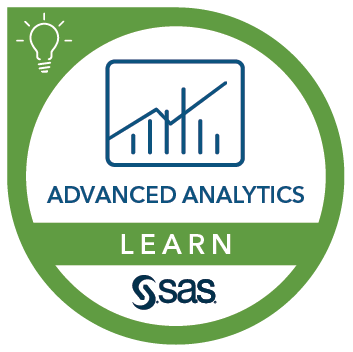 Familiarity with SAS Enterprise Miner at the level presented in the Applied Analytics Using SAS® Enterprise Miner™ course is helpful. Most of the techniques shown in this course using SAS Enterprise Miner are supplemented with similar approaches in foundation SAS. Jeff Zeanah describes this course.